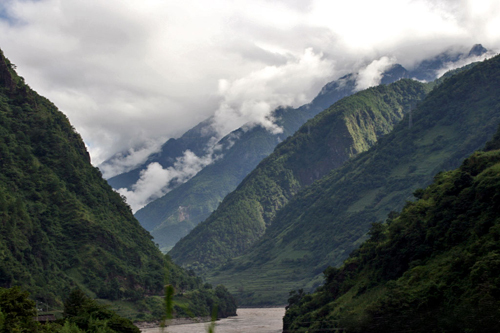 In the following weeks (months) we will be putting up information about travelling in the Nujiang Valley. 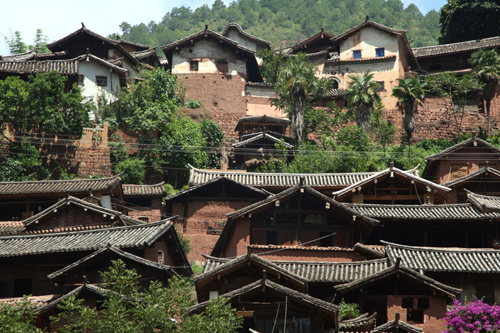 This article will quickly look at Liuku六库, the town at the entrance to the valley and Gongshan贡山, the last town before you arrive at Bingzhongluo 丙中洛, the beautiful one- street village at the end of the valley. The Nujiang River, one of China’s last remaining undammed rivers, begins high on the Tibetan plateau before roaring down through the deep valleys and towering mountains of Yunnan province and then swinging into Burma and finally emptying out into the Andaman Sea at Mawlamyine. 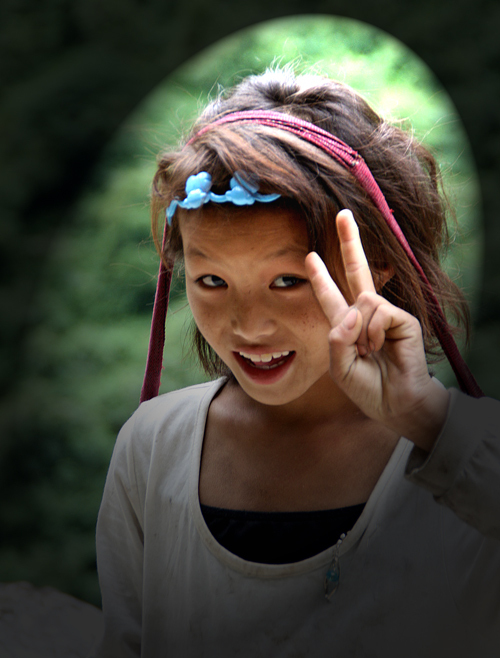 The Nujiang Valley is a home to a number of ethnic groups. 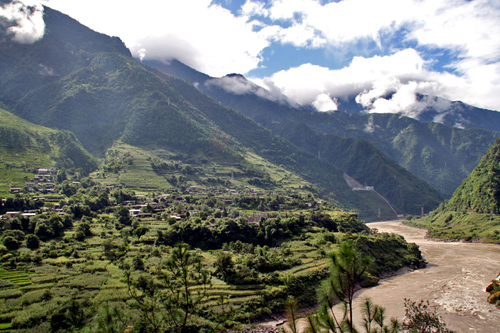 The villages that dot the slopes of the mountains above the river are populated by Lisu, Nu (a Tibetan sub-group) Drung and Tibetans. 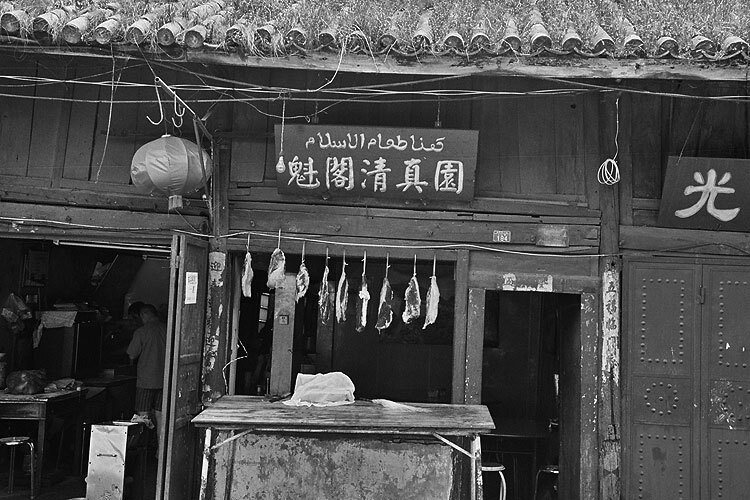 There is also a smattering of Hui (Chinese Muslims) and Burmese traders. 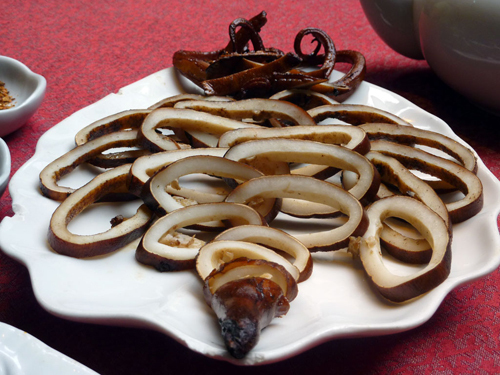 There are few places like Nuodeng 诺邓 remaining in China. 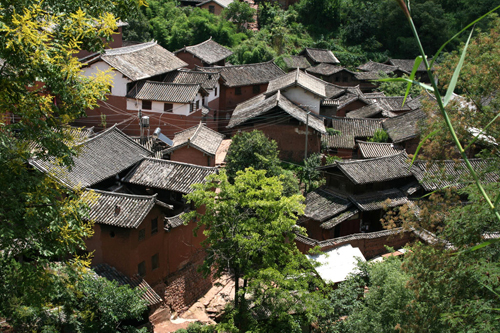 Local tourist propaganda calls it the ‘thousand – year – old village’ and while this may be an exaggeration, there is no denying that this spectacular hamlet of ancient Ming and Qing dynasty houses and flagstone streets is unique. Not a single modern eyesore blights picture perfect Nuodeng. Add to this the fact that hordes of screaming tourists and tacky souvenir stalls are conspicuous by their absence, and you get the China of your dreams. 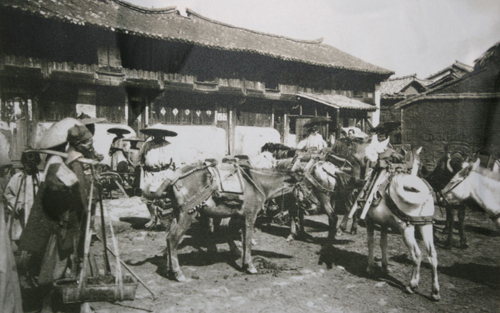 Like Heijing 黑井 and Shaxi 沙溪, Nuodeng was once an important stopover on the salt route, but those glory days have long passed, and only a few salt wells at the entrance to the village are a sign of times gone by. 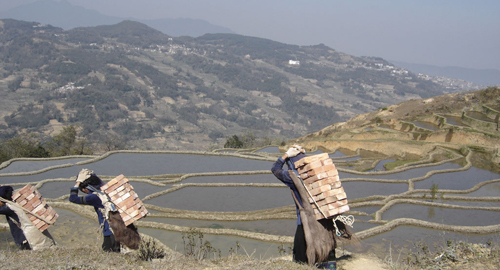 Today, Nuodeng’s residents, members of the Bai ethnic group, earn their livelihoods tilling the fields on the steep slopes of the surrounding hills. 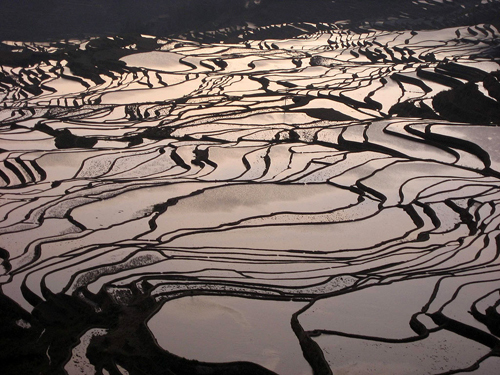 China, Yunnan province, 150 Kilometres Northwest of Dali. 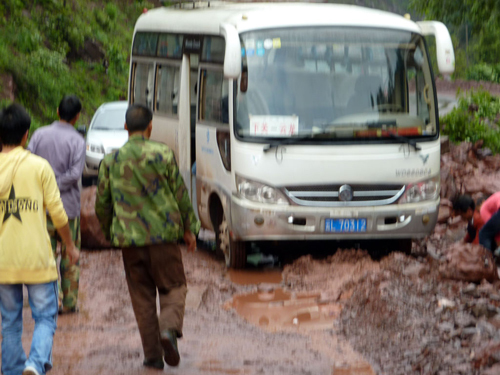 Every journey we made by bus in Yunnan 云南 this summer was plagued by problems. 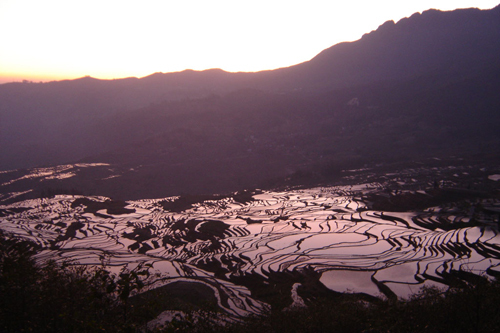 This is the account from our dairy which describes the ride we took on the 12th of August 2010, from Xiaguan (Dali City) to Yunlong. “… We have no trouble getting a taxi this early in the morning, thank God, so we arrive at the bus station nice and early. There, we make the mistake of asking how long it will take and they tell us 5 hours, instead of the 3½ we were expecting…… more road works apparently….. We’ll just have to resign ourselves. The first 40kms or so we proceed smoothly, straight down the Dali大理– Baoshan保山 express way (an engineering marvel, hewn out of the rock face of towering mountains)，and we start wondering whether the people in the bus station have made a mistake, or whether we’ve simply misheard the times…. But no, as soon as we turn off the motorway the road basically vanishes. 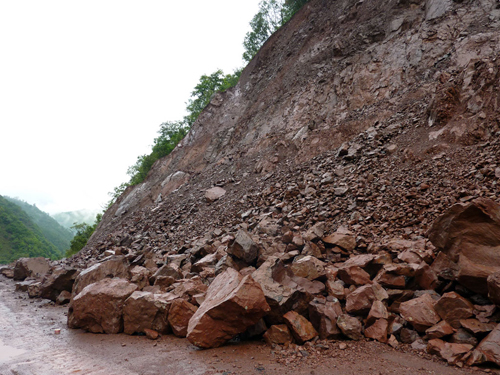 From now on we’ll be driving through thick red mud, along a rough track that is at times completely flooded by water running down the mountainsides. 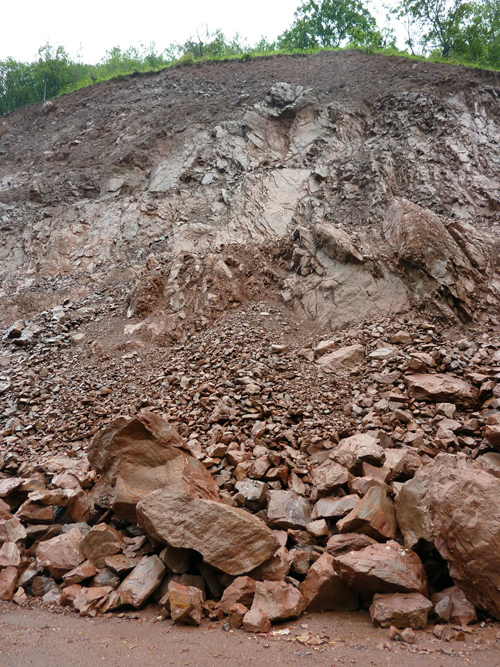 The whole area is just one great building site where we constantly have to dodge bulldozers, caterpillars and other heavy machinery, swerve around piles of construction materials, avoid the little shacks put up for the workers, and so on. 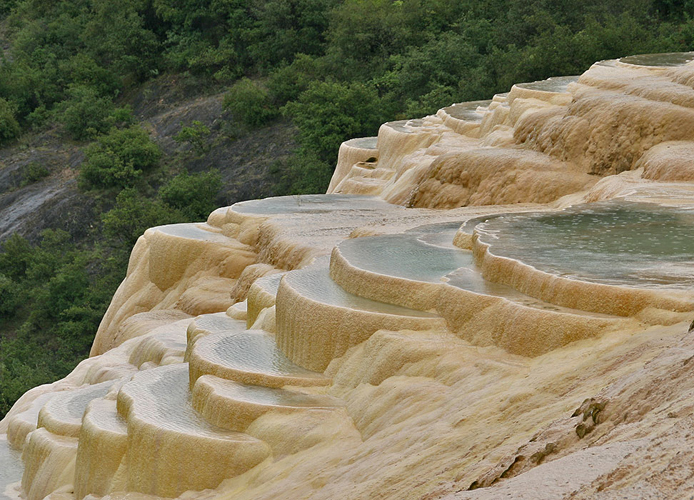 China, Yunnan, just over 100 kilometers Northwest of Kunming. By 6.00 o’clock the restaurant is packed and queues are beginning to line up in the waiting area. A palpable sense of expectation hovers in the air as customers mull over the huge menu, occasionally lifting their heads to glance at their fellow diners and nodding in approval as a dish is selected. The waiters stand around patiently, sometimes suggesting dishes to speed the indecisive along. As orders are taken to the kitchen, the carriers -whose job it is only to carry food to the tables on large trays – begin scurrying backwards and forwards between kitchen and dining area, delivering large plates of unfamiliar, yet delicious looking food. A veritable army of waiting staff in traditional uniforms then take the dishes from the trays and serve them to the suitably impressed diners. The noise level begins to rise as beer bottles are opened, or Chinese rice wine is tossed down gulping throats to the shouts of Ganbei/ Cheers! 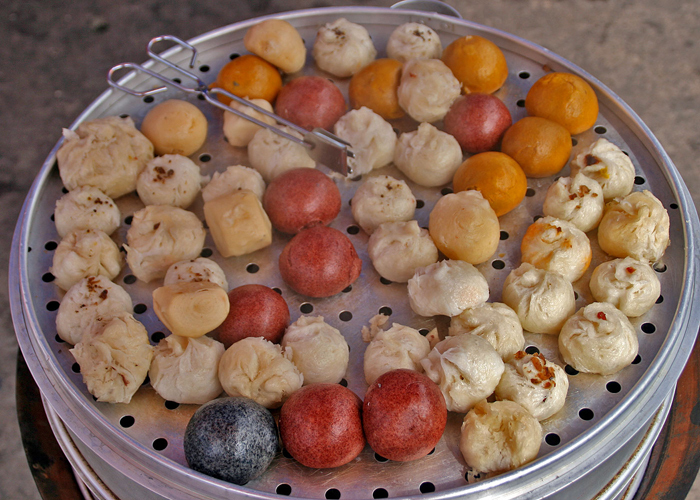 This is Lao Fangzi in central Kunming where food doesn’t come much better and the ambience puts the icing on the cake. 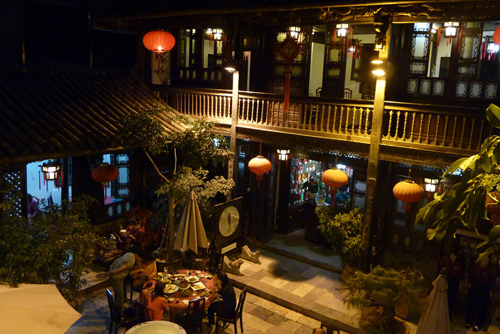 One of the few – maybe the last- remaining genuine old houses in central Kunming, Lao Fangzi (the Old House) is one of the city’s best dining spots. How it has escaped the guide books is a mystery. 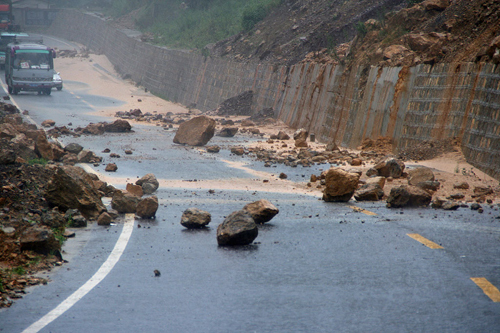 Landslides, mudslides, traffic accidents, then more landslides, rock falls and even more traffic accidents. 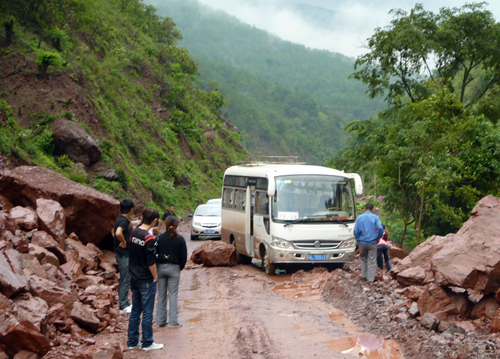 Every journey we made this summer in Yunnan seemed to involve at least one of those mishaps and sometimes several of them. Watching the news in China during the rainy and typhoon season can be like watching a disaster movie that never ends. From landslides to floods, earthquakes to collapsing bridges, the whole country seems immersed in an ongoing state of calamities that sometimes verge on biblical proportions. Yet, until this year, we had always been lucky. We were either somewhere completely different, we had already been and gone, or we were about to go, but we were never actually there, on the spot. We were quite used to watching all those disasters from the comfort of our hotel room. Yet, this year it was all different. 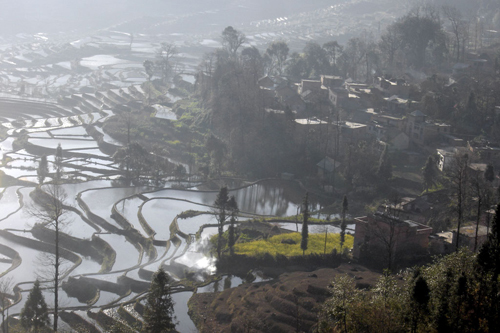 It’s coming to that time of year again, when thousands of budding photographers descend on the southern Yunnan town of Yuanyang to capture the amazing rice terraces at their best. 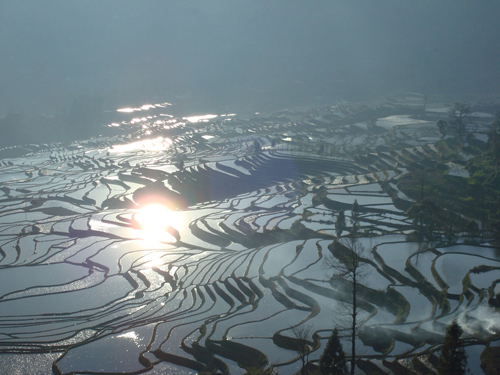 Cultivated over hundreds of years by the Hani minority, the rice terraces near Yuanyang form a stunning sight at any time of year, but it is in January and February when they are at their most magnificent. We visited the terraces in the summer of 2006, and while in summer the terraces are a spectacular blanket of verdant green, they are still no match for their winter spectacle. In 2008 we met two Spanish boys, Alvaro and German, on the bus between Luang Nam Tha and Nong Kiauw in Laos. This year Alvaro and German were fortunate enough to visit Yuanyang at the right time (middle of February) and have given us permission to put up some of the fantastic photos Alvaro took. I hope you enjoy them. 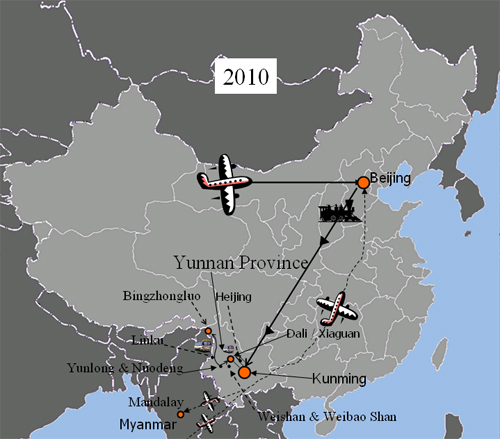 When we visited Yuanyang in 2006 there were hardly any tourists, foreign or Chinese. The situation has changed radically in recent years. 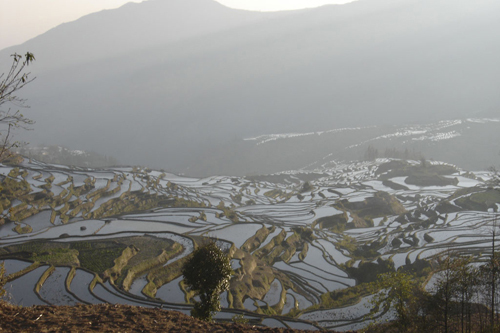 Yuanyang has now been included in the latest editions of Lonely Planet and Chinese photographers and tourists have also become more abundant. Some of the best scenic spots have become rather over crowded at peak times e.g. Sunrise and sunset. However, just walk away from the crowds and dive in and amongst the paddies and in a few minutes it will just be you, the views and the local Hani farmers. Accommodation options have also widened recently. 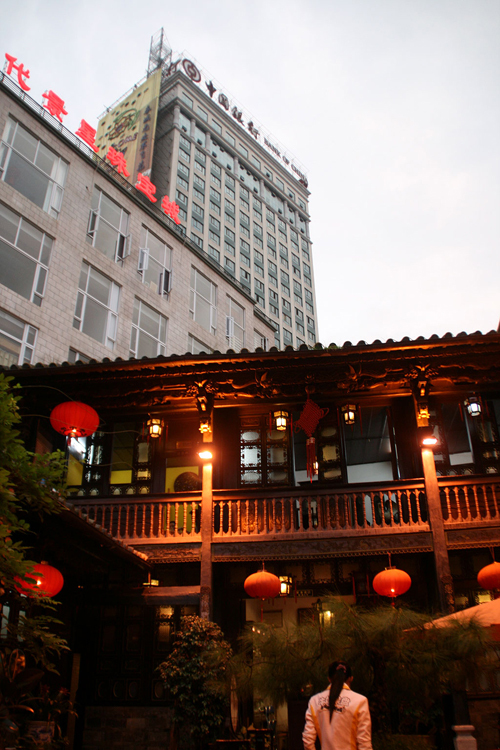 However, if the Chen Jian hotel (mobile: 1376 9492816) is still in good order, I can’t think of a better place to stay. When the Lijiang Express (a far cry from the old rust bucket that hauled us there from Panzhihua in 1991)- large leather armchairs, seatbelts, hostesses and blaring TV – pulled into modern Lijiang we feared the worst: we had arrived in what seemed to be a vast expanse of empty roads, half-finished concrete buildings, monstrous new hotels and souvenir shops… Was this going to be the Dali nightmare all over again? Adam most eloquently expresses his feelings on the over-exploitation of that once lovely village on our blog Holachina.blog » The Death of Dali / Shangri-La Tourism What happens when all of China and the world want to visit a small town? . 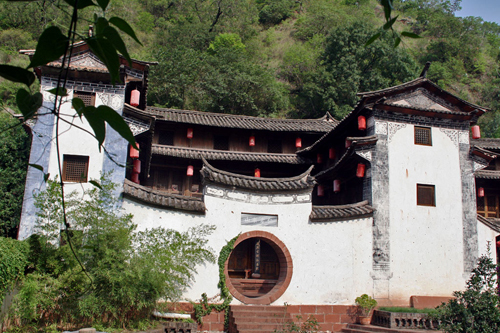 A friendly Naxi taxi driver drove us to the area near the waterwheels, which marks the entrance to the Old City. Immediately, we were shocked by the mayhem: we saw scores of Chinese girls dressed in fake Naxi costumes, tourist ponies, photographers, touts and, of course, hundreds of tourists milling about, or trailing after their megaphone-toting, flag-waving guides! We quickly turned into one of the narrow, cobbled streets, these days lined with souvenir shops, and went in search of affordable accommodation, which we eventually found at the fairly atmospheric Old Town Inn. Here is how we wrote about it in our Diary that day (Sept 3 – 2007): … It is a stunning, largely uphill ride, through dense forests and undulating meadows crossed by rushing rivers. 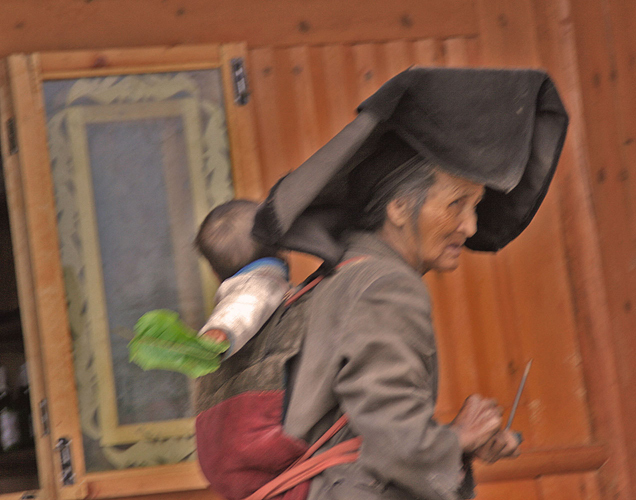 On our way we pass the occasional nomads’ tent and several small minority and Tibetan villages. 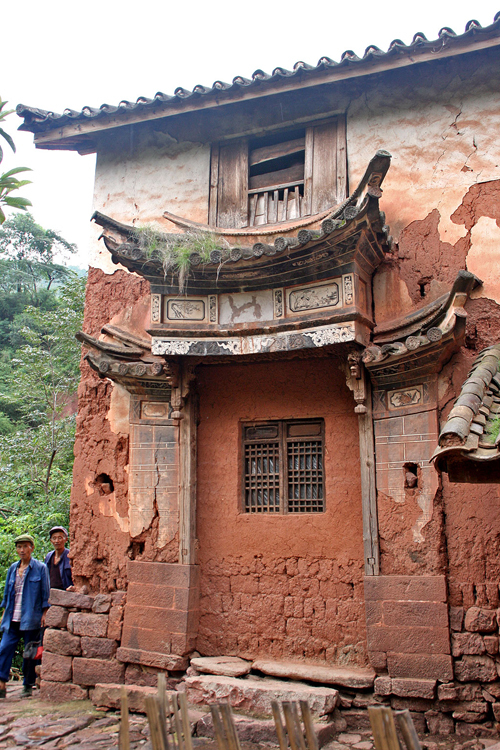 The first is a rickety, wooden Yi settlement that is virtually deserted. 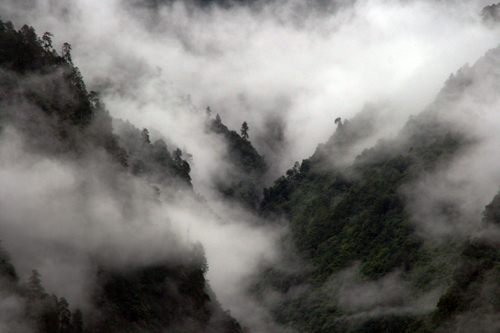 According to our driver, a taciturn Tibetan, the Yi are probably out gathering mushrooms. 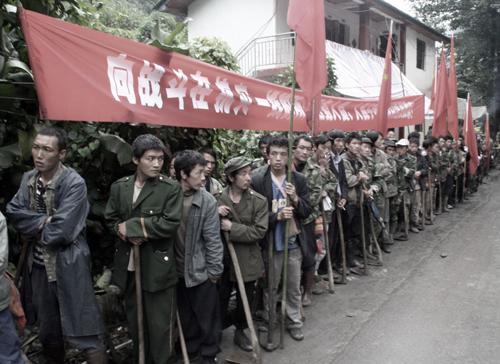 Curiously, the subject of the Yi is the very first to loosen his tongue: he claims that the Tibetans dislike the Yi because they practise slash and burn agriculture and are responsible for the cutting down of the forests…. Moreover, in general, they are not to be trusted (his words, not ours). His outburst leaves us a bit baffled because, as far as we know, not all Tibetans are equally ecologically-minded. What to think e.g. 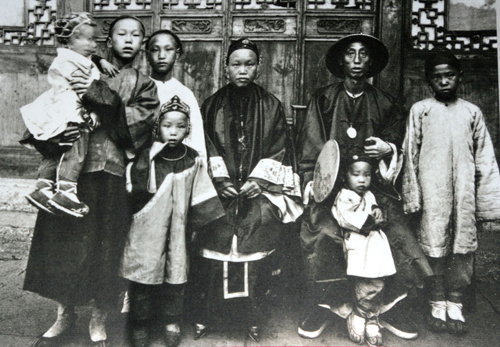 of the extended use many Tibetans make of rare furs? The Death of Dali / Shangri-La Tourism What happens when all of China and the world want to visit a small town? 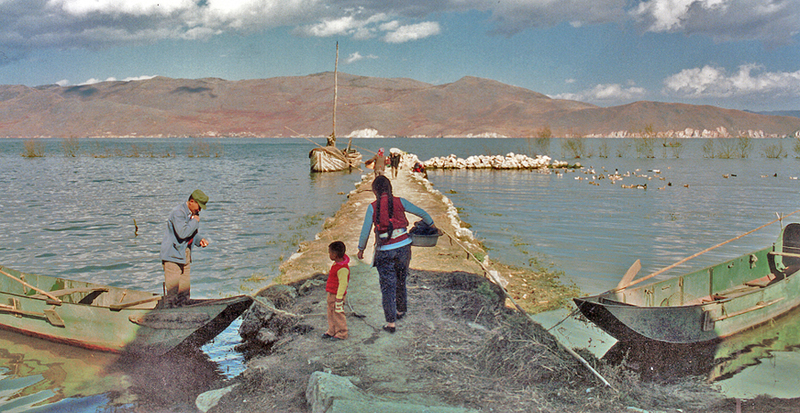 The historic city of Dali, situated on the shores of Erhai lake in China’s Southwestern province of Yunnan, has died and risen again several times during its long history. Kublai Khan’s Mongol armies raised it as part of their destruction of the Nanzhao Kingdom. 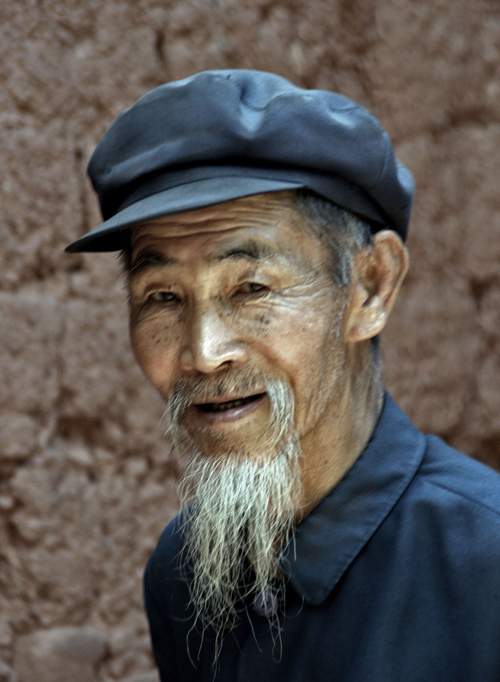 Chinese Imperial troops put the city to the torch when crushing a Muslim rebellion in the mid-nineteenth century. And an earthquake destroyed it again in 1925. 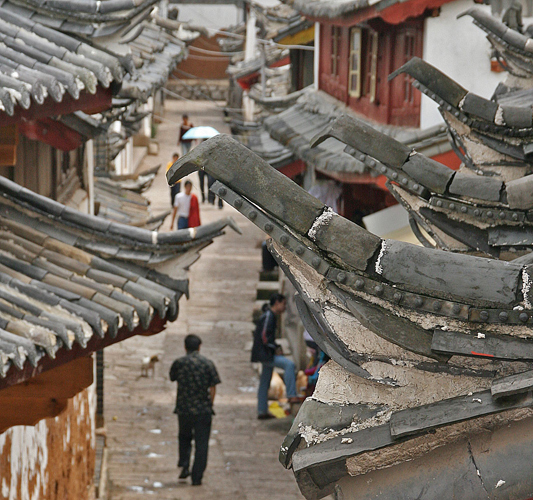 After the earthquake, Dali was rebuilt in keeping with its traditional style, a mixture of large Bai courtyard mansions and small wooden shops and stores. Its layout within the old city walls remained the same, and the city was criss-crossed by beautiful flagstone streets. This was the Dali that we found in 1990 and liked so much. But Dali has died again and this time the enemy is probably much more dangerous than anything that came before. The enemy is called Shangri-la Tourism. My reaction on revisiting the town after 15 years was: Benidorm! 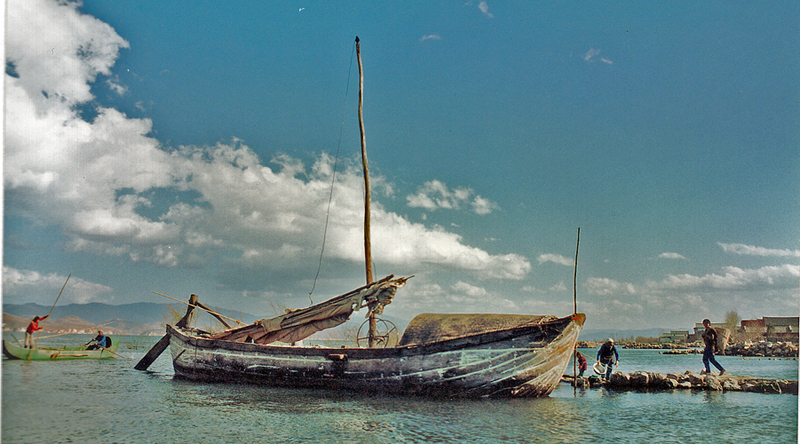 It has to be said that Dali was fairly touristy even in 1990. Hordes of local Bai women used to pursue the newly arrived backpackers down the streets, trying to flog batiks, earrings, hairpins and change FECs (the Foreign Exchange Certificates that foreigners got at the bank instead of the local currency). Restaurants offering the dreaded banana pancake and other so-called Western food were ubiquitous. It wasn’t the ‘real’ China; not even then. 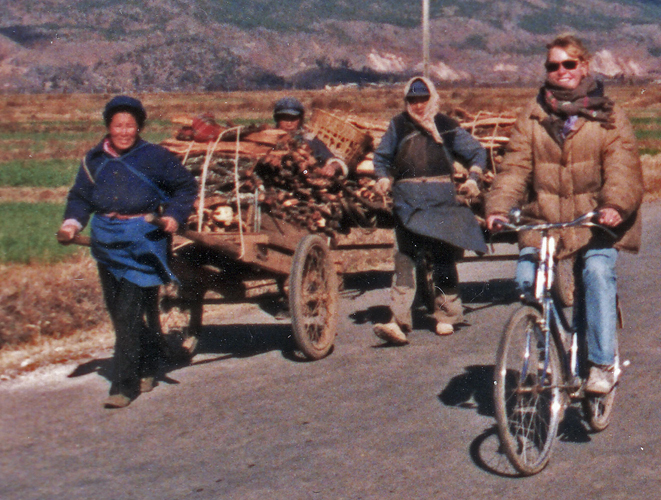 However, the businesses dealing with backpackers were generally family affairs run on a small scale, and once you had settled in and the grannies had given up on you as a lost cause, Dali became a pleasant place to chill out, recharge your batteries and recover from the considerable effort of getting there. Moreover, the scenery around Dali was and is spectacular, the surrounding villages beautiful, the local Bai culture (see Xizhou) fascinating and the markets pretty amazing.